Call us at +65 6737 0515 to schedule your no obligation consultation! People of all ages can have scoliosis, but the most common type is adolescent idiopathic scoliosis (around 80%) in children between the ages of 10 to 12. This is when most adolescents have a growth spurt. It has been observed that girls are more likely than boys to have this type of scoliosis (7:1 ratio). In idiopathic scoliosis cases where the curve is minor enough to be considered an asymmetry, it will not require treatment. If the patient has a mild curve (under 25 degrees) then a doctor will likely recommend to monitor to make sure the curve doesn’t progress. We don’t recommend waiting when chiropractic treatment is available to correct the curve naturally. When a scoliosis cause can be determined, it will likely be identified as either congenital (spinal deformities that appear at birth) or neurological (when spinal cord affect nerves and muscles in the spine). Congenital scoliosis - Problems in the spine that develop before a baby is born. These babies may have spinal bones that are not fully formed or are fused together. Neuromuscular scoliosis - Sometimes medical conditions that affect the nerves and muscles can lead to scoliosis. These types of neuromuscular conditions can cause the muscles that support the spine to be weak or imbalanced. Scoliosis has been seen to run in families, so a child should have regular checkups if their parent or sibling has had idiopathic scoliosis. While adolescent scoliosis occurs in children 10 to 18 without cause and isn’t typically painful, adult scoliosis has a known cause (the deterioration of the facet joints in the back) and is associated with pain. The pain that is experienced from adult scoliosis is usually from the inflammation of the degenerating facet joints, not the spinal curve, which progresses slowly (1 to 2 degrees per year). 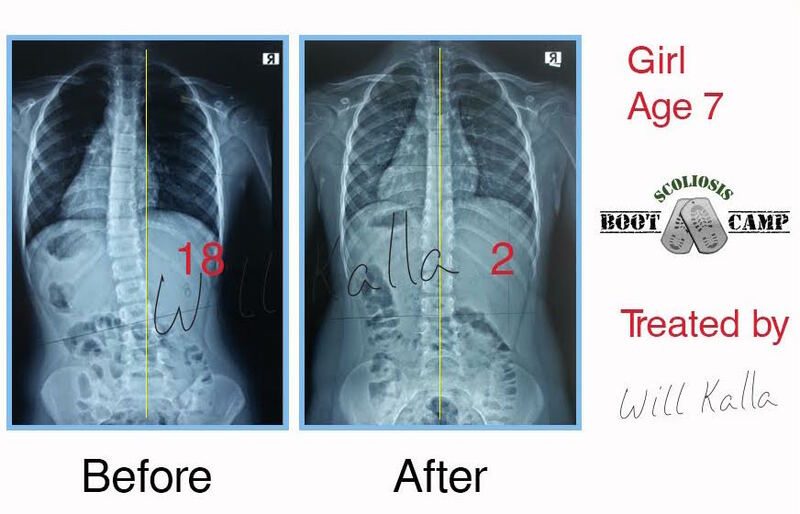 Unlike adolescent scoliosis, the treatment for adult scoliosis is not focused on slowing the curvature, but instead is centered on alleviating pain. It is important to note that a rapid deterioration is seen in female patients with Adult Scoliosis during menopause. Precision Spine has provided safe, effective and nonsurgical chiropractic treatments in Singapore since 2006. Our mission is to provide relief to our patients while fixing the root cause of their problem.